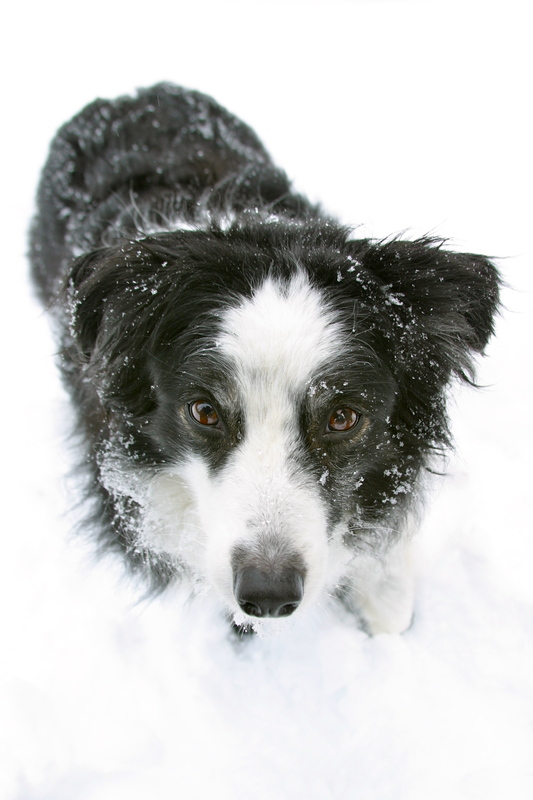 -I’ve often heard mixed feelings about four legged friends tagging along in the backcountry. 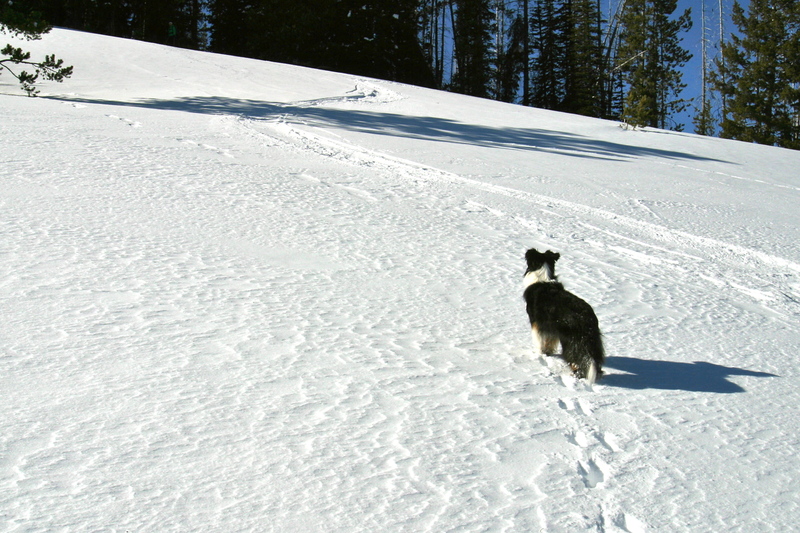 The most common; that dogs can create an unpleasant and/or unsafe atmosphere for other backcountry trekkers. Lucky for us, we live and play in an area with a very dog friendly culture. It’s fabulous, because when the snowpack is relatively stable and safe, and we stick to low angle slopes, I can’t imagine leaving this guy home. He’s been my constant companion for the last eight years, who’s in the background of nearly every photo I’ve taken. My little guy may be getting older, but he can still keep up with us on shorter treks. The highlight of every workday is early morning. Having a 9-5 makes skiing (everyday) inconvenient, so we get up early, head out in the dark, and start skinning at first light. The treat is on the weekends, when we get to spend the whole day out. On the shorter tours, Mox gets to come along. 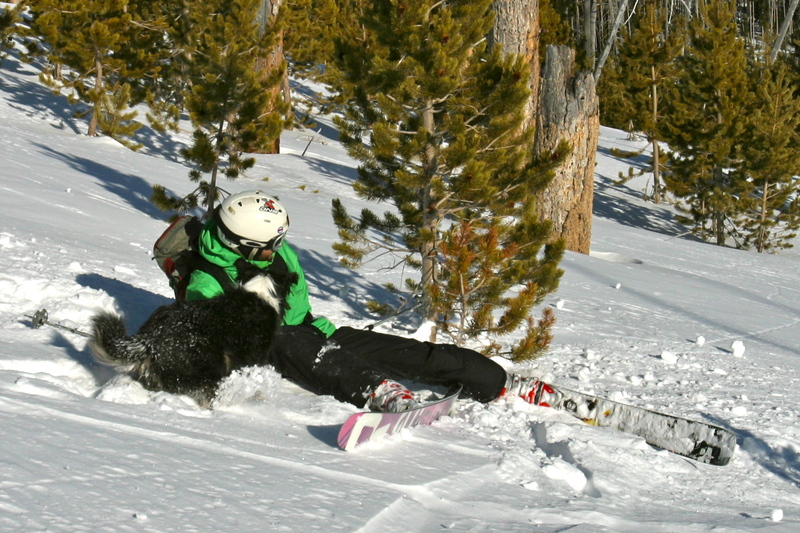 It wasn’t long before we realized this guy LOVES powder, and LOVES to ski. The yipps of anticipation when we reach the top as he waits for us to rip skins can’t be matched. He’s muzzle deep in the rooster tail of whomever heads down first, then he waits for the second. And, he’s always there when you need a helping hand. 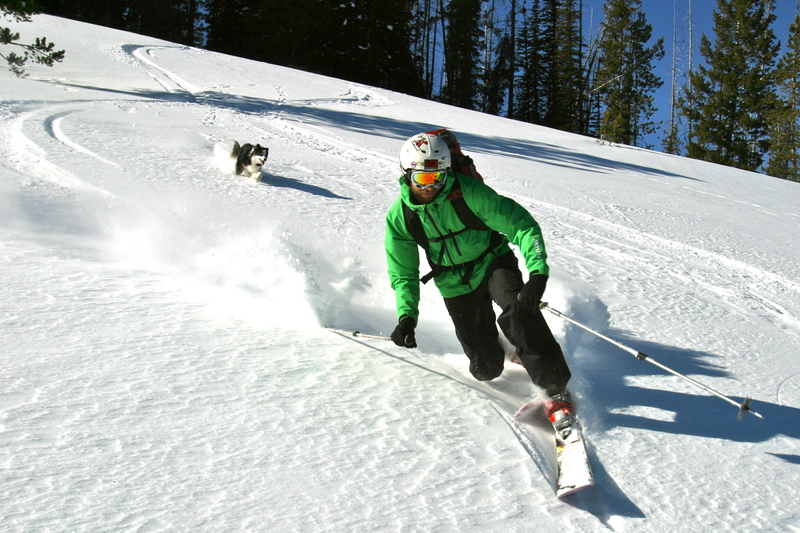 This entry was posted in Backcountry Skiing and tagged Eagle Cap Wilderness, Emily, Lee, Mox, Wallowa Mountains by Lee. Bookmark the permalink.